Everybody dreams of having their own home, but for many low-income families the dream never turns into a reality. For such families, the US Government has introduced a low-income housing program, commonly referred to as HUD housing. 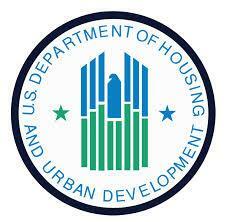 The United States Department of Housing and Urban Development (HUD) aims to make home ownership a possibility for everyone with its affordable housing schemes. The process of buying a HUD home is considerably different than the traditional home buying process. It involves buying a foreclosed property online through an auction. Information about homes available for sale is put on the official website and a time period is defined during which the interest buyers can make an offer. After completion of the offer period, all bids are opened and the highest eligible bid is accepted and buyer’s real estate agent is contacted by the authority. Buying a HUD home requires knowledge and experience of the bidding process. Therefore, prospective homebuyers should try to collect information from reliable resources in order to fully understand the process. We are listing 4 tips that can help people who are considering buying a HUD home for their family. As mentioned already, the process of buying a HUD home differs significantly from the process of buying any property. Only HUD-registered real estate agents can represent buyers and investors in the bidding process. If you are looking for a reliable and registered real estate agent, you should visit this link. Find out which agents in your locality have represented the highest number of winning bids, and select any one of them after careful consideration. Just because you are buying an affordable home does not mean that you compromise on basic infrastructure and fixtures. Take assistance from your HUD-registered real estate agent and they can arrange an inspection visit of the property for you. Carefully note down all renovation and repair needs and make your offer accordingly. Money is the most important consideration of any purchase, and particularly for low-salaried people it is very important that they make an offer after considering their financing options. Fortunately, HUD bidding process allows the bidders to close their offer anytime without any money forfeiture. HUD homes are like a dream to low-income families, but investors take them as goldmines. HUD does not allow real estate investors to make an offer within the first 30 days of the offer period. Make the most out of this time and make an appropriate offer to increase the chances of winning the bid. Visit this government-run website to get the most updated information about HUD homes up for sale. HUD provides great low-income housing opportunities to people who otherwise do not have enough finances to buy their own home. The process requires an in-depth knowledge and diligence. Housingapartments.org aims to help low-income families by providing them valuable information about affordable housing. Keep reading our articles to know more about affordable housing options in the US.